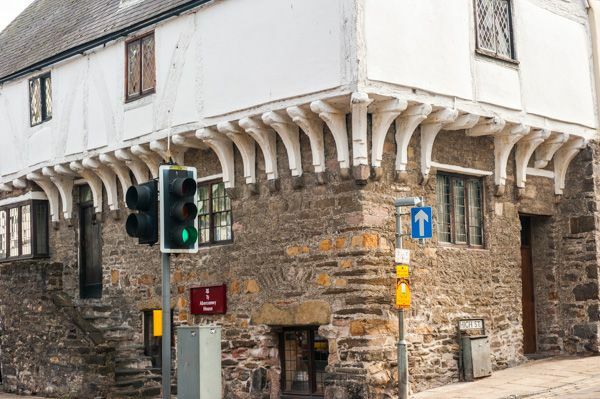 This medieval merchant's house is the oldest dwelling in Wales and features an exhibition on life in Conwy from Roman times to the present. Aberconwy House dates to the early 14th century, making it the oldest recorded dwelling house in Wales. 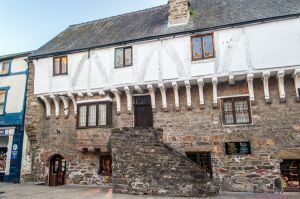 It was used by English merchants engaged in trading with the Welsh, who were not allowed to live inside the town walls, and in the Victorian period it was used as a temperance hotel. The house was in danger of being sold to an American businessman, dismantled, and shipped overseas, when it was rescued by the National Trust. The house stands at the corner of High Street and Castle Street. It is an eye-catching building, with two lower floors of stone supporting a projecting upper storey of timber. The upper floor extends well over the lower section of the building, with curving wooden timbers takin the weight of the upper floor. 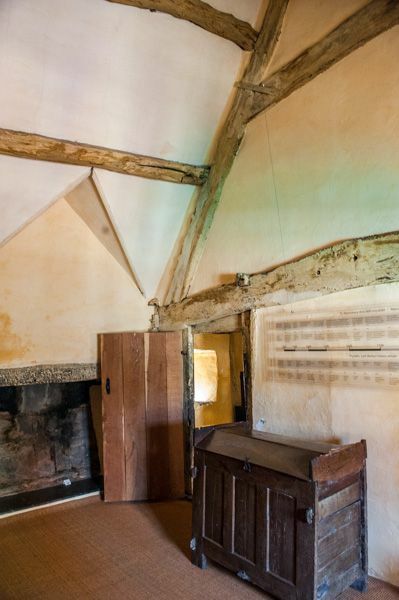 The lower section of the house is the oldest, while the top storey of timber was added in the 15th century. Tree-ring analysis of roof timbers suggests that they were felled around 1420. 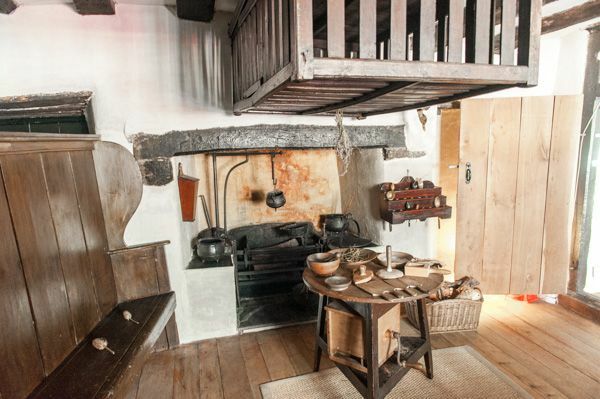 On the ground floor is a kitchen, and upstairs are a series of rooms, decorated in different styles to illustrate how the house looked at different times in its history. Several rooms are decorated in Georgian style, there is a Victorian bedchamber, and the loft is decorated in Jacobean fashion. The house is full of period furniture. One item that caught my eye was a drinking cup made of horn; you could see right through it. 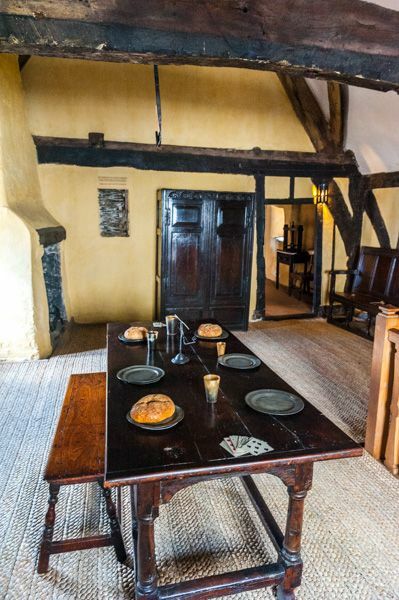 The ambience is wonderful; floorboards creak, dark timbers create a medieval atmosphere, and the authentic furnishings help recreate a sense of Conwy's history. 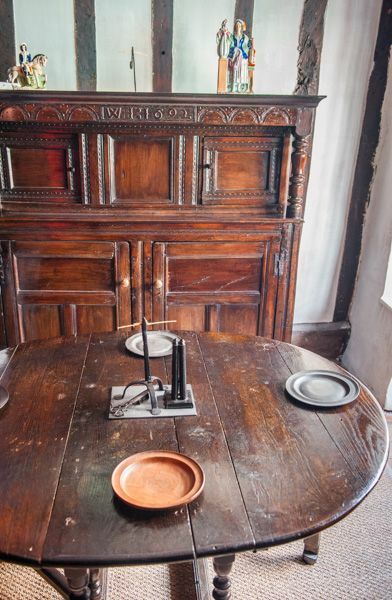 There are very knowledgeable guides throughout the house; we listened in on one guide explaining to other visitors how the kitchen was used and what each implement was for. It was a fascinating bit of social history. Aberconwy House has a reputation as a haunted house. 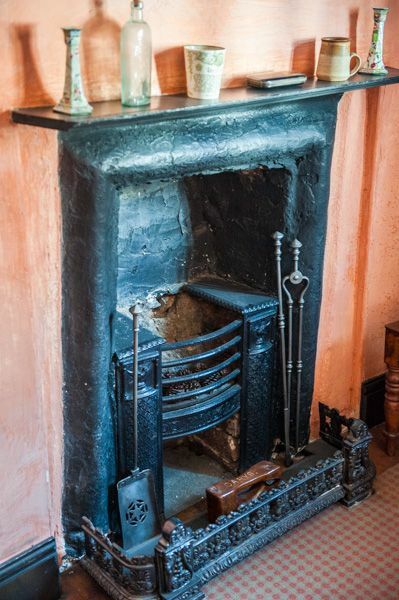 Numerous spectral figures have been reported, including a man in Victorian costume, and a woman near the loft fireplace said to be the wife of the first owner. Doors are said to rattle and floorboards creak when there is no one about, and footsteps have been heard in the loft. Items on display in the National Trust shop in the basement are said to be moved during the night. Now, all that said, I've visited the house twice, and experienced nothing other than delight at being able to visit a wonderful medieval house! 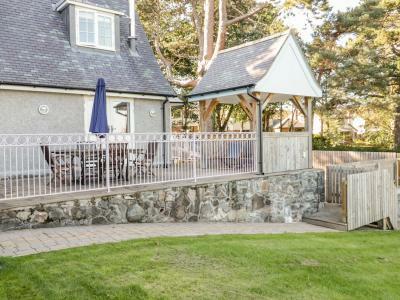 This delightful end-terrace rests just across the estuary to Conwy in North Wales and can sleep two people in one bedroom.